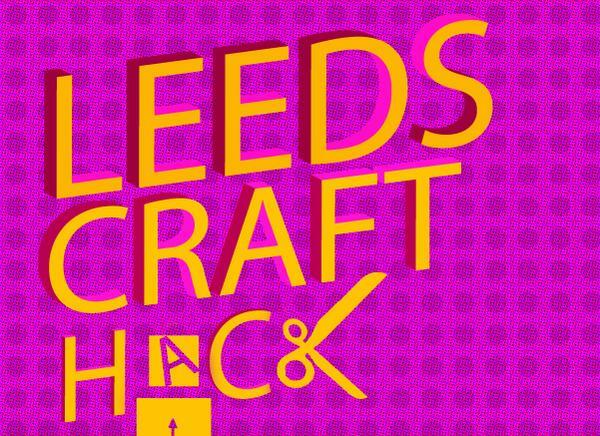 I was lucky enough to attend Leeds Craft Hack at Leeds City Museum last week. 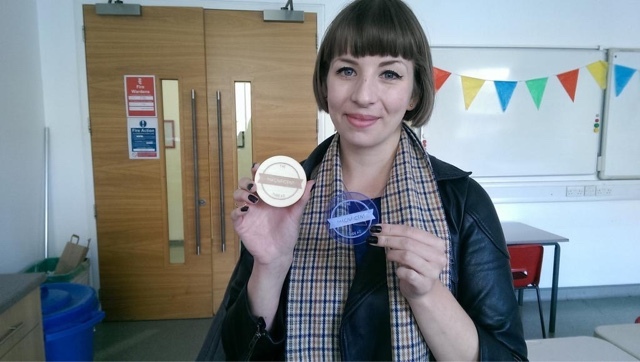 The free event was aimed at adults, and offered a series of workshops that incorporated technology and digital processes into crafting. I work in engineering and science communication, and (of course) my huge out-of-work passion is dressmaking, so the Craft Hack was the perfect combination of the two! First up was a laser cutting workshop. I spent a bit of time making and manipulating a design (with the help of the guys from Leeds Hackspace), before sending it to be laser etched and cut by machine. I'd gone with my blog logo in mind so I was pleased that it was suitable for etching! 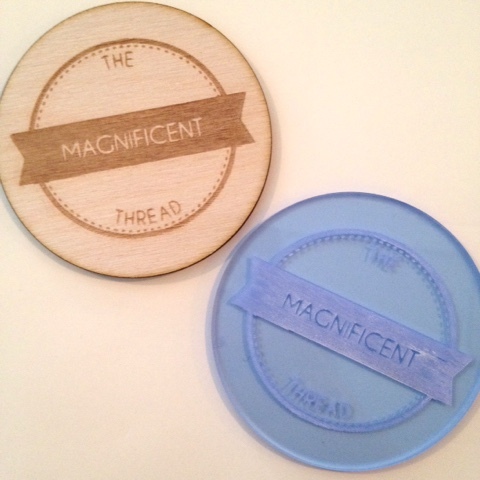 My laser etched and laser cut blog logos! The technical side of things was kindly explained to me by Dominic Morrow who brought along his laser cutter for the event. The entire etching and cutting process took under a minute, and it was pretty cool to watch the cutter at work. I have no idea what I'll use them for, but I'm thrilled with the results - it sort of makes my blog feel more 'real' if you know what I mean! I also tried out a basic LilyPad workshop to make some wearable tech. The LilyPad is a little component that was pre-programmed with instructions, so that when connected to LEDs it can make them light up in a particular way. 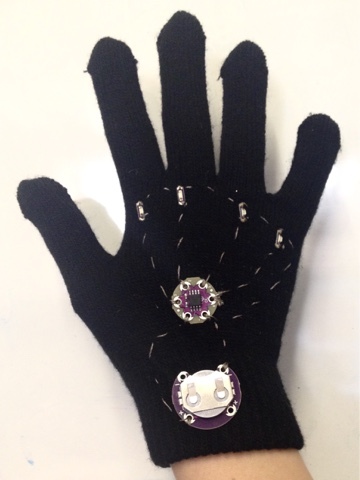 I chose to add the tech to a glove, so it involved a bit of sewing with conductive thread to connect the LEDs, battery pack and LilyPad up in a circuit. But at least I know that adding tech into my dressmaking is a possibility - stage wear ideas maybe? The day served as fab inspiration, and if I'm very lucky maybe I'll get to do something fashion and technology related at work - here's hoping! 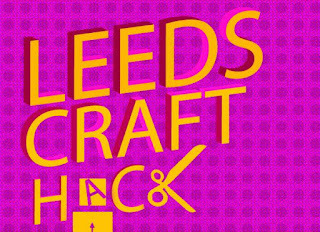 The Craft Hack was expertly organised by Liz, aka @electroknitter - check out her website Electroknit to see some of the amazing things you can do when you hack a knitting machine. P.S. I love your Hollyburn skirts - especially the red corduroy one!